Marketing Consulting Firm: How Do Marketing Plans Work? 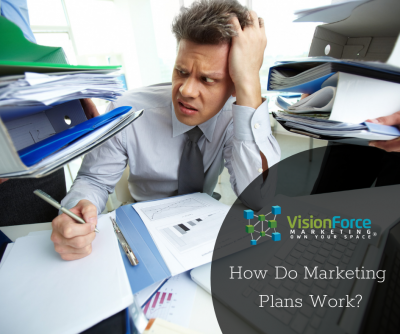 How Do Marketing Plans Work? Marketing plans are an incredibly important and well-known aspect of running a business. Unfortunately, they are also underutilized by business owners due to their complexity. Writing up a professional marketing plan may occupy a huge chunk of a business owners time. Due to the time-consuming nature of a marketing plan, many business owners skip writing and enacting an action plan for their marketing. Hiring a professional marketing consulting firm will make enacting a marketing plan much easier. Marketing plans are very important to the success rate of any business. A marketing plan will lay out the important objectives of a business. Spending time and money on the right marketing is one sure way to drive business and profits. A marketing plan will encompass the step-by-step plan and strategies for traditional and digital marketing, products, services, and much more. Everything laid out in a marketing plan should be measurable. The right marketing plan should help a company and it’s owners stay on track while successfully driving their business forward. A marketing plan will also allow for a jumping off point for future marketing and business plans. A marketing consulting firm will help companies identify these measurable variables and will draw up a professional marketing plan for companies to follow. Vision Force Marketing is one of these professional marketing consulting firms that can help businesses succeed. Outside marketing companies have the resources, time, and expertise to create and enact fantastic marketing plans that will drive business. Just as you are an expert in your respective field, we are the professionals within ours. Do not split your time between running a business and marketing!